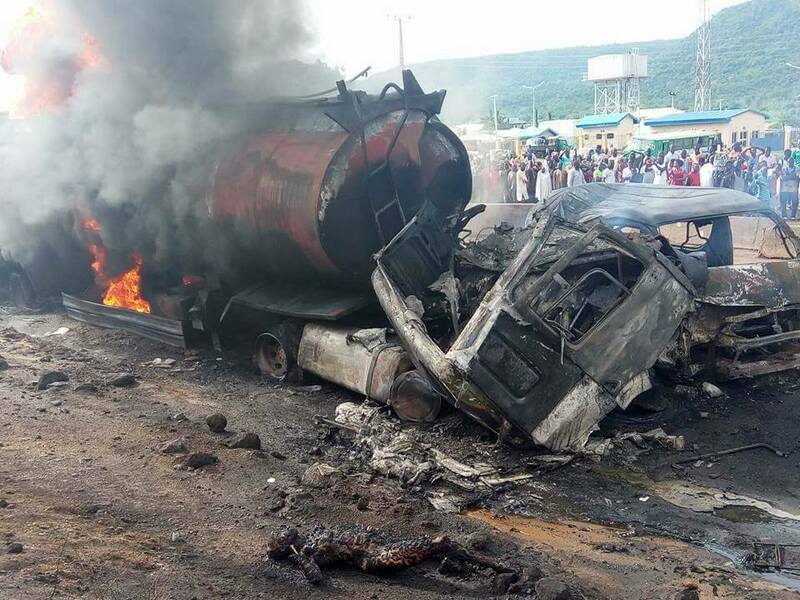 Ten people were burnt beyond recognition while six others sustained serious injuries when a petrol tanker went up in flames in Felele area of Lokoja on Friday. 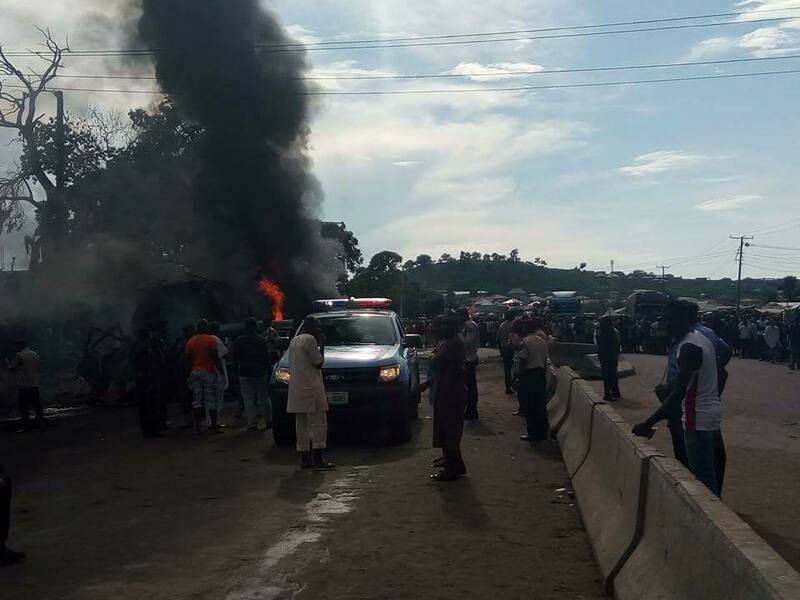 The Sector Commander of the Federal Road Safety Corps, FRSC, in Kogi State, Segun Martins, who confirmed this to the News Agency of Nigeria, NAN, in Lokoja, said most of the victims were passengers travelling in an 18-seater commercial bus. 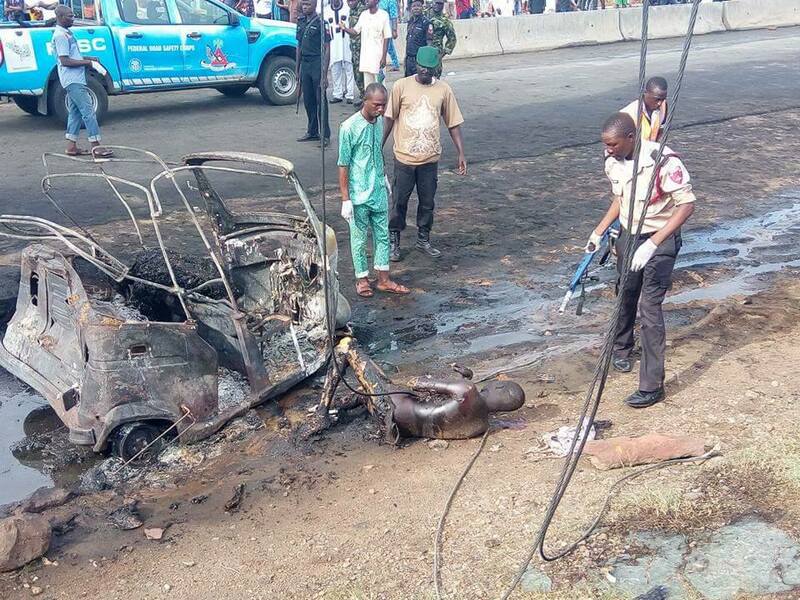 Also affected were one commercial tricycle operator, the driver and motor boy of the fuel tanker. 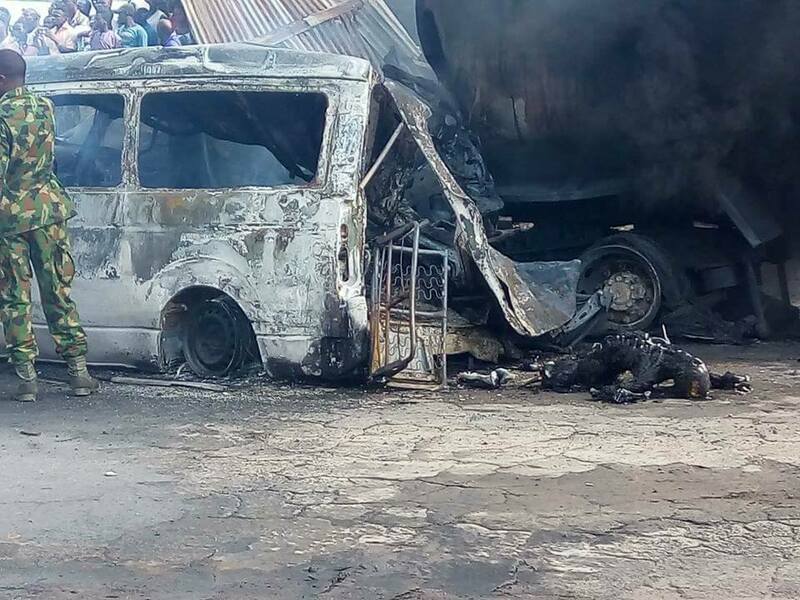 He said the death toll might rise as some of those who sustained injuries were in critical situation. 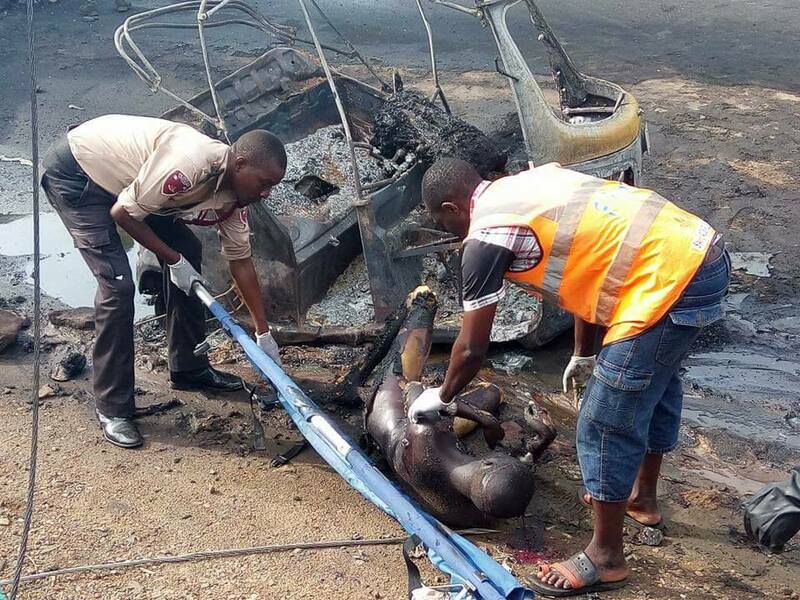 Mr. Martins said the dead and injured victims were moved to various hospitals in Lokoja.